I've heard most of you are amazing. Like my own NQT mentor, you inspire, encourage, support and advise. You invite new teachers to watch you teach and give them guidance with planning, assessment and classroom management. Respectfully, you give achievable targets after observations before planning in strategies for ensuring they are met. You recognise that rest is as important as hard work in surviving as a teacher and encourage it to improve well-being. Those in your care look up to you because they can see you looking at them with huge potential. However, there are some of you who are letting the team down. Among my network of friends and colleagues around the country, I have heard time and time again of NQTs having a really rough ride. My first instinct is that they're simply in a tough school or that they are poor teachers but, after delving deeper, I discover this isn't the main problem. The common factor among these horror stories is a mentor with no clue as to what the role requires and how to provide effective support. Apparently you expect them to know it all already. You get frustrated when having to explain something that they 'should have learned in training'. Well what if they didn't? What if they never came across that or their university didn't include it as part of the course or, God forbid, they missed that day due to illness? It seems you take no excuses, however justified, and your lack of want to help them this time only prevents them from asking again. Some of you are obsessed with grades; both for teachers and children. You see yourselves as a judge when it comes to regular lesson observations rather than a fellow professional. I've heard that some of you struggle to stick to one or two points for development, preferring a couple of positives before a seemingly endless list of improvements. These NQTs are a far cry from the children we teach but it's two stars and one wish in that ratio for a reason. I'd encourage you to try observing the lessons using just positives and one improvement; It sounds like you might struggle. I imagine that you've been teaching a while so you're in a good position to tell whether someone's lesson is up-to-scratch. It sounds like you've judged some of my friends as being less-than-satisfactory or worse, inadequate. Sometimes, perhaps, this was justified. My issues lies with what you did next and it's the same story around the country: you observed more. Multiple observations in the space of a ridiculously short period of time. Unannounced drop-ins and minimum feedback. Ever heard the metaphor about weighing the pig?! It's completely unacceptable and unhelpful for the NQT. My heart breaks for the energetic, inspired and creative lady or man who ends up in your 'care'. In my experience, they end up forced out of your school before their probationary year is up in the fear that you'll fail them, leaving them unable to teach again. Those who survive, get to the end of the year with their flare for teaching extinguished, using phrases like, "only the kids got me through" when they should be praising you for supporting them to succeed. Thankfully, the good among you massively outnumber the bad but I simply cannot ignore these stories any longer because I'm all too aware that it could have been me. I also wonder, when the statistics are mentioned, just how often poor mentors or lack of support are cited as the reason so many leave teaching in the first 5 years. I certainly know a few who would. So to those mentors continuing to support, encourage and inspire the next generation of teachers; please keep doing what you're doing. You're making a massive difference and ensuring there are effective practitioners coming through to be leaders. 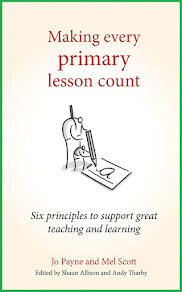 To colleagues who know that there are struggling NQTs in your school; please encourage them and keep an eye out for them, questioning anything you feel is inappropriate. To those who are causing these problems; you're probably not reading this anyway. Final note for NQTs: If you find yourself in a very difficult situation, please find yourself a support network whether among colleagues, non-teaching friends, family or though Twitter. Use your union and let them guide you through your NQT year. They can ensure you are receiving the correct support from the school and a fair induction process. Seek advice from them and other, more-experienced professionals and, once again, I would suggest Twitter is a good place to start. 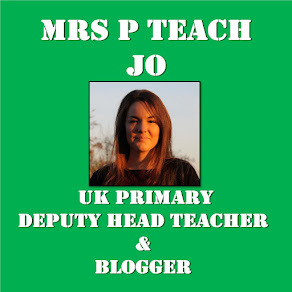 Lastly, if you want to contact me for any reason, please tweet me at @MrsPTeach. It's true - it's a role we massively undervalue in schools. A good mentor can be the difference between a promising NQT becoming an excellent teacher and abandoning the profession altogether. What a waste! What about the other side of the coin? NQTs who use a one plan fits all, don't take advice on board, don't communicate, don't support the department. As an NQT mentor I spend a lot of time planning meetings, finding strategies to help and support the NQT when basic expectations aren't met. As with all these things, of course there is another side. However the stories I've heard recently have been very one-sided and quite shocking, hence this post. Sometimes we can have two NQTs at a time to mentor with no reduction in a full teaching load! Spare a thought for those of us giving up 4 hours a week on top of a full teaching load and other commitments! I will be starting my 2nd year of teaching in September and I cannot thank you enough for this post. I went through placement with little issues and was told a fair bit how much potential I had. Within the space of a few months, I was made to feel stupid and a general inconvenience to my NQT mentor and acting head (who once the head teacher left decided to take away all of her teaching time). Even though 16 other staff were leaving, instead of constructive criticism and support, I received emails and lists upon emails and lists letting me know about all the stuff that I was doing wrong - no suggestion on how to fix it. Her idea of support was just to increase drop ins and book scrutinies. All staff were sent job advertisements that they thought we might be interested in. My kids were in tears when they eventually found out I was leaving - asking me questions like 'What have we done?" and "Why are you leaving us?". My union just kept telling me to keep on going because I wasn't in danger of failing and its most important to just pass the year. It is only because I am STUBBORN that I decided that I would NOT let them push me away from all my hard work and passion for teaching and I managed to just keep on going. The more experienced teachers said, they were surprised I hadn't left yet! *Rant over!! * I just thought I'd comment to say how great your blogs are but how special this one is. Just like if you tell a child enough times that they can only do so much, that is all they'll believe. Your experience sounds so much like mine - the only difference being mine really did threaten failure. Fortunately my Union were brilliant and fought my corner. Like you I only stuck with teaching because I was too stubborn not to, and I got out after a year. It's so good to know I'm not the only one! Three years down the line and my confidence is still affected by that one horrible year. A similar thing happened to me! First term was great then all of a sudden in the second term myself and my year group partner (an experienced teacher) had constant observations, meetings just listing all the negatives but just as you said, no suggestion about what they actually wanted us to do about it! I think the breaking point came when they went into our classrooms when we weren't there and ripped down all the displays and rearranged the furniture. I was only on a maternity contract so jumped ship when it ended. Found a new school, with really supportive SMT and haven't looked back since! I now can't believe I let them get away with so much, the attitude of other people in the school was just "we've all gone through it, just put up with it and they'll be on to someone else soon" shocking!! Good luck in your new school, sounds like it couldn't be any worse! My nqt mentor was in a relationship with a person who had a real issue with me. All meetings were along the lines of "you're such a fantastic teacher, can't fault your methods but... (e.g.) your conduct is poor due to how you sit/fold your arms when you're walking; you're not building professional relationships because you don't go to the pub with the group (that included my mentor and their partner); you're conduct is poor because you're not good friends with all 80 of your colleagues; you didn't give your mentor (and fellow year group teacher) all your planning (they never planned anything - I did it all for both classes); you're friends with another nqt from another school who is "not a good idea" (be careful of the company you keep). My first term, every time I opened my mouth about anything at all it was reported by my mentor to their partner who then ran to the head and twisted it in some way. I had 2 'can u have a quick chat' as I walked out of the door - meetings which theb lasted so long I didn't get home until nearly 9pm, and when I did I was hysterical. They threatened that my poor conduct (e.g. how I sat, walked etc) could lead me to fail. I stayed stubborn and strong and eventually got the support of many colleagues who all accused that I was being bullied and victimised undeservedly. I got a new job in a wonderful and caring school starting this September abd I couldn't be happier that I'm done with that place and never have to go back. Thank you for your post and the other commenters. It feels good to get it all out there. Such a waste - seems to be basic bullying. Having mentored several people over the years in other areas of work I would not dream of doing anything other than fully support new staff members.Appalling and disappointing behaviour.